DAS UK Group, the largest provider of legal expenses insurance in the UK, has announced the appointment of William Ellerton as its new Head of Property and Contract, effective from Monday 23 January. William will be based in Bristol and will report directly to Managing Director of DAS Law, James Christacos. He will be responsible for leading the Commercial, Consumer and Property Litigation teams. Ellerton has over 10 years’ experience of financial services litigation, and holds an LLB from the University of Bristol. He joins DAS from full services law firm Eversheds where he held the position of Partner. 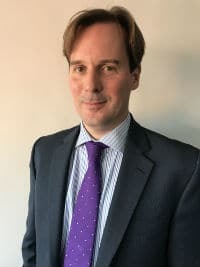 Prior to this, Ellerton held a number of leadership roles as Partner and Head of Litigation at Bevans Society, and Solicitor and Associate at DAC Beachcroft LLP.